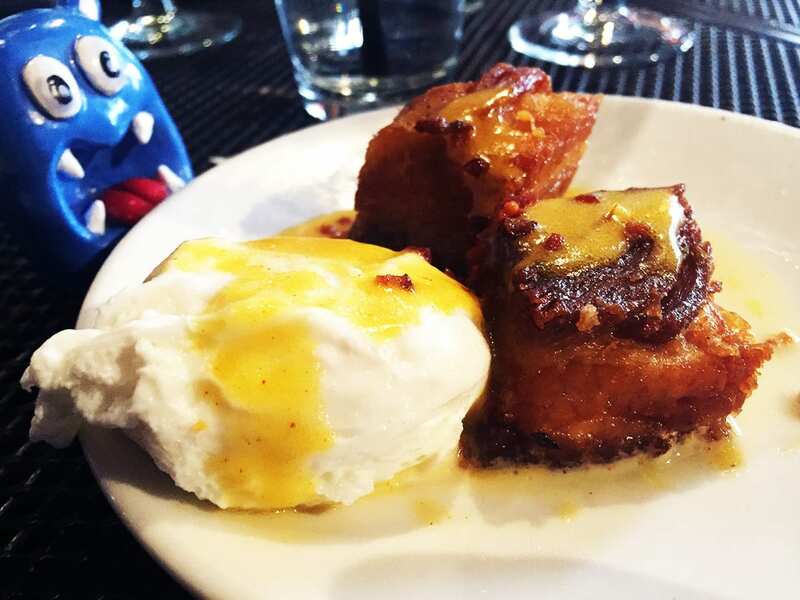 Fill your belly with some tasty unlimited brunch with Pork Belly & Eggs from Cava Mezze a modern take on Greek American food in Capitol Hill, DC suburb. We are very excited to finally make it for an unlimited brunch to one of the famous places in the area. The first dish in and it just wowed our taste buds away, it impressed us so much that it blew pass our rating and got high 6 NOMs score. Some of the thickest pieces of meat and yet so soft with a nice layer of fatty goodness. So flavorful with just the right amount of crunch in every bite. Perfectly combined with a poached egg. To make this dish even better there is also our favorite hollandaise sauce. The sauce was very light and more liquid, but it worked well to let the pork flavor shine through. By far one of the best bacon dishes we’ve ever had. Not the biggest dish, but pretty good when you are enjoying an unlimited bottomless brunch for $30 per person or $7 a la carte. 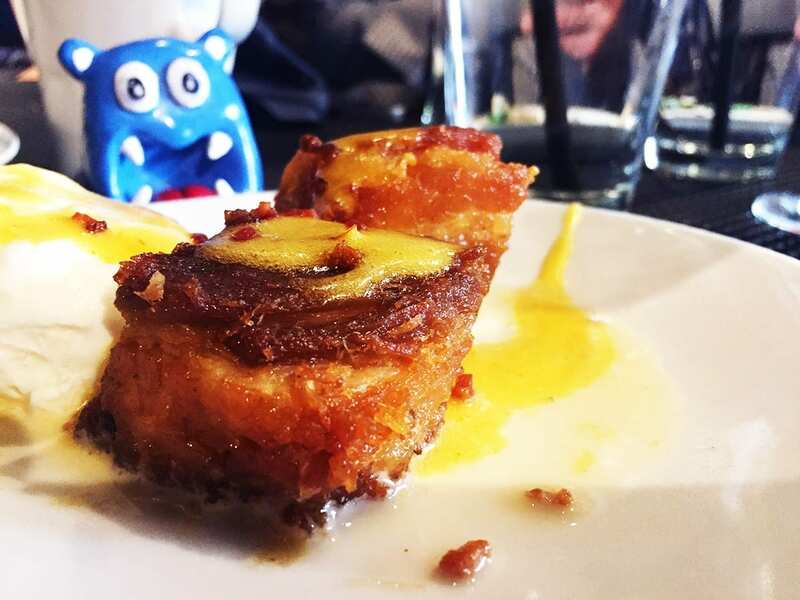 A must order for any pork belly that would sure to leave a happy nomster. 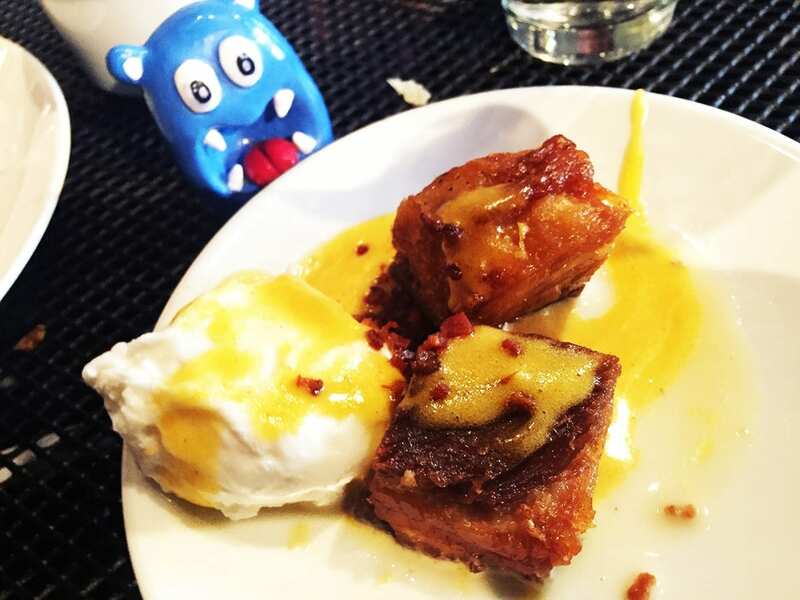 You really should consider doing their unlimited/bottomless brunch so you can truly enjoy every single dish of their fun menu. Plus if you fell into flavor love with an order you can have more of it.